This is my piece of Preseli, I love it! 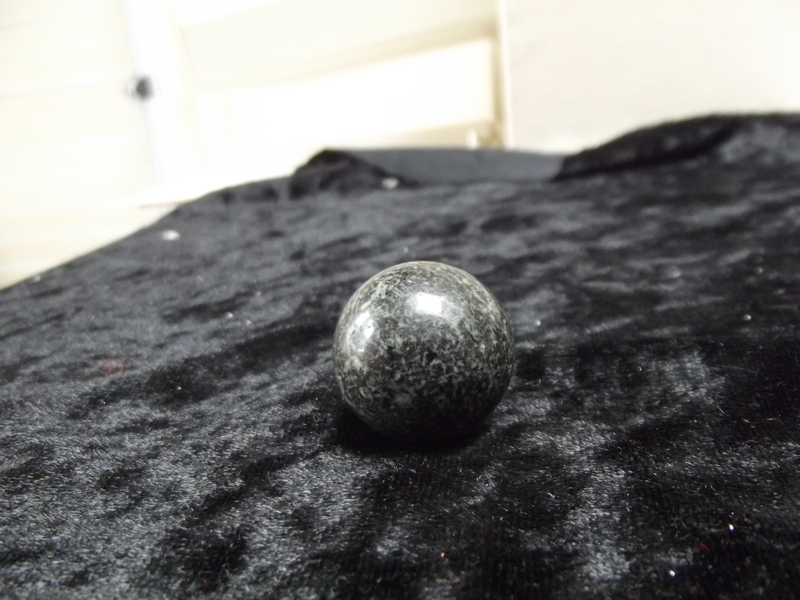 Found this stone at a mind, body and spirit fair. It was the only sphere they had in the preseli so I had a hold of it. I had such a strong response to it I had to have it. Really good for Past Life Regression. I have been taken back/given images quite a few times just holding it!